When it comes to knives, most of us probably think there’s only about four parts: the blade, the the blade’s sharp side, its blunt side, and the handle. But if you take a look at Korin’s page on the topic, you’ll find a diagram consisting of 13 different parts, and enough classifications to make the practice of knife making look akin to building a car. The art of Japanese knife craftsmanship is derived from the craft of Japanese swords, and it’s not only a very old tradition, but also a very serious one. According to the makers at Korin, a dull blade can damage the cell wall of food and thereby alter its texture and taste. We asked Josh Plunkett, a chef who has spent time cooking and living in Kyoto, to help us understand more about the art of Japanese knives. What was your first experience with Japanese knives? My first experience with Japanese knives was actually during my first summer in New York City at Korin. I bought a 240mm yanagi! How do they differ from the craftsmanship of non-Japanese, culinary knives? I think the history and craftsmanship of Japanese knives is quite unique. There is also so many styles and a level of detail that is hard to find in traditional knives from other cultures. The quality of the materials used in Japanese knives can also be quite staggering – as can the prices! What is the worst mistake you see people make with knives? I think it’s important to buy a knife that is within the realm of your needs and knowledge. Most Japanese knives require a level of care that most people would be unfamiliar with in western style knives. They are certainly more high maintenance than stainless western style knives and require care after each use. How do you properly care for your knives? It’s important to handle them properly, know how to treat them after use, and store them properly. 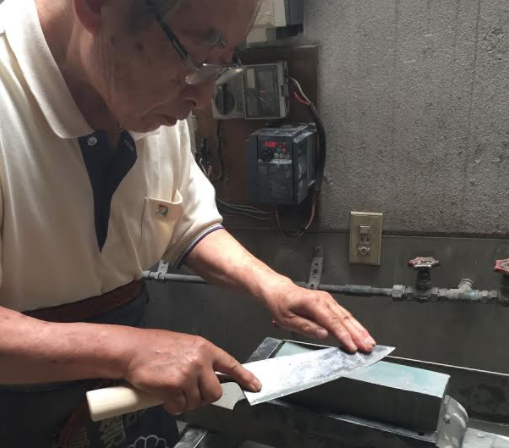 For the most part, moisture is not good for Japanese knives as it can cause rust. Some products can also stain the knife depending on the metal, so it is important to be conscious of all these things. 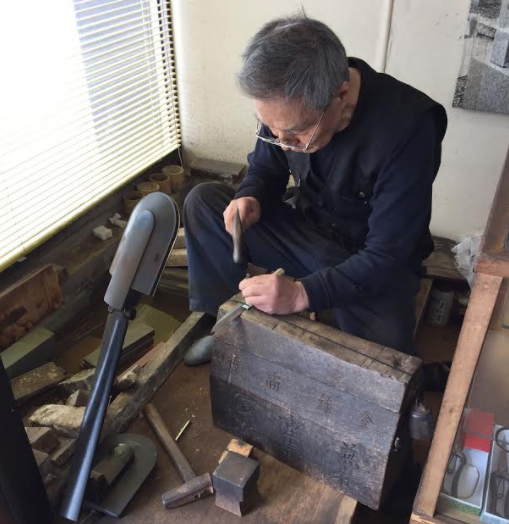 Japanese knives are also sharpened differently to western style knives, which for first timers might take some getting used to. For readers less experienced in specialty knives and fine culinary arts, what are the knives you recommend people start out with? It depends on the kind of food you are intending to cook. For people setting out to buy nice knives for the first time, I would just recommend one good chefs knives and a small inexpensive petty/office knife. As you become more specialized, you can invest in knives for more specific purposes. Episode | A Taste of Japan Eats!